It was a big first day for all of us. 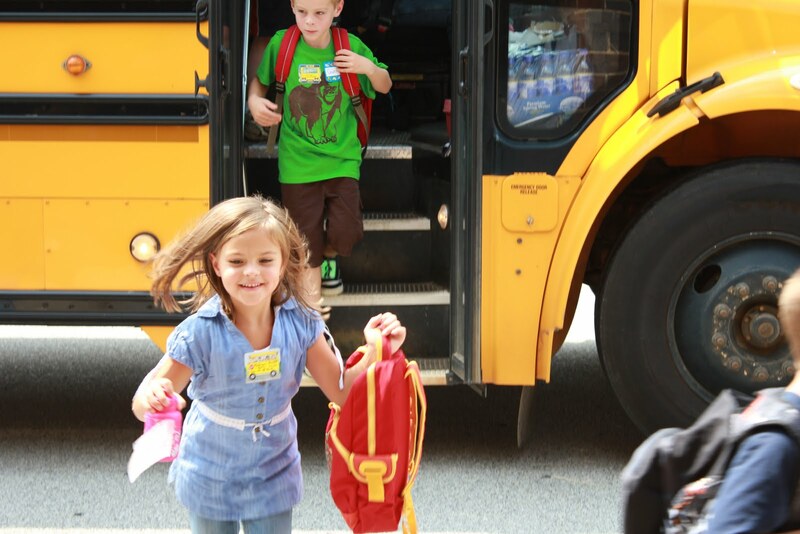 Kindergarten, Pre-K, Bed Babies….oh, and Mommy got to meet almost 100 new faces, too. And right now, I don’t remember any of their names. I’m exhausted. and my feet hurt. and my head. oh, and did I mention Amelia shared her cold? So after five straight hours of “Welcome to 7th Grade!” speeches, my throat is killing me. But this post isn’t supposed to be about me. 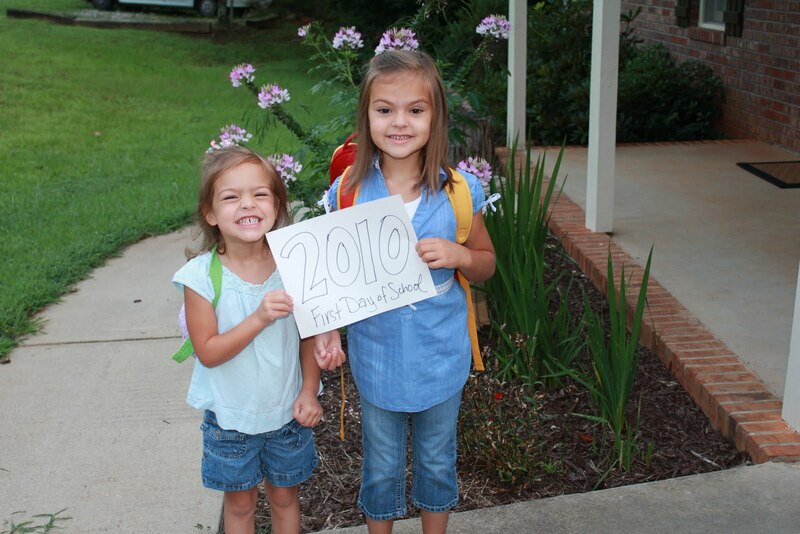 It’s supposed to be about my girls and their big milestones today. Can we really be actual school parents now? For big school? I had more empathy this morning for the parents who are leary of dropping their child at middle school than I have ever had before. Suddenly I realized she was outside the safe bubble world I had created and chosen for her and was part of the real world where there will be so many more influences we don’t want or like. It’s scary. And you know what? It really is. Previous Post Where Did Summer Go? so glad she had a great day. What a great shot you got of her. I know that you had a tough day. I remember and will do it again next year. It is hard doing it with your first though. Hope you had a great day today as well. Go to bed early! thanks for the post. love that shot of madelynne running off the bus. must have been a good first day!